This page was added by John Layton on 20/02/2007. 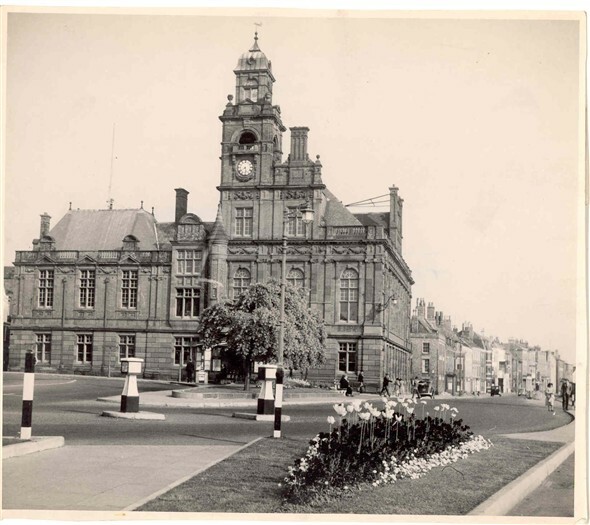 On Hall Quay on the corner of Regent Street stood the then the post office, a very large building at sometime in the early 1950 ( not realy sure on the date). On the wall behind the counter was a very long painted Mural. I think it was of the 2nd WW & of Yarmouth main industry does anyone know what became off this painting when the post office closed?